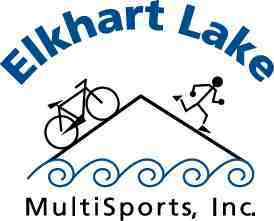 Register online for the Elkhart Lake Triathlon in June at Elkhart Lake, WI. It only took two games for John Mikuzis of Neuqua Valley to score 27 goals, and in the process he led Neuqua Valley to their first two wins of the season. On Monday night, Mikuzis tallied 13 of the Wildcats' 17 goals as they held off Hinsdale Central 17-16 to earn their first win of the season. In Thursday night's game, Mikuzis scored 14 of the Wildcats' goals as they beat Waubonsie Valley 18-14, a team they had lost to the previous weekend. On the season, Mikuzis has totaled 36 goals in 5 games. Morgan Bonk led #1 Fenwick to a 4-0 record at the Mike Murphy Tournament over the weekend and was the tournament's leading scorer with 20 goals. In the opening game, she recorded 5 goals and added 2 assists and 3 steals in a convincing 16-6 win over Loyola. Later on Friday, she scored 4 goals and chipped in on the defensive end with 5 steals in the Friars' 12-5 victory over Homewood-Flossmoor. On Saturday, she recorded 5 goals, 2 assists, and 2 steals in an 18-5 triumph over New Trier to set Fenwick up for a showdown with St Ignatius on their side of the tournament bracket. In the matchup of top teams, Bonk led Fenwick to a 10-7 win with 6 goals, 2 assists, 1 steal, and 1 kickout drawn. For the tournament, Fenwick went 4-0 to remain undefeated for the season (6-0 overall). Bonk's overall stats for the tournament were: 20 goals, 7 assists, 11 steals, and 2 kickouts drawn. Illpolo.com - Celebrating 5 Years Online!